When you order your tickets online you will receive an email receipt. Please bring your receipt to the Jazz Registration area in the Sun Valley Inn. Friday, October 5th will be the last day for pre-event sales. 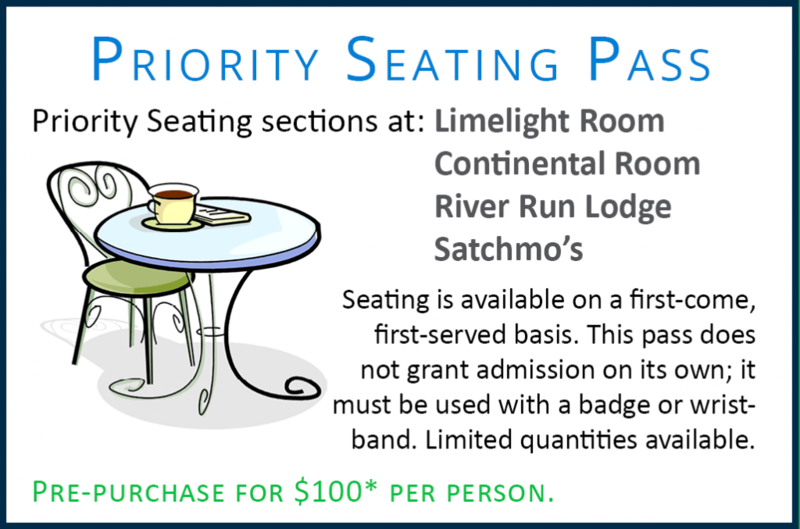 There are Priority Seating sections at the Limelight Room, Continental Room, River Run Lodge, and Satchmo’s. Seating is available on a first come, first served basis. This pass does not grant admission on its own; it must be used with an admission pass or wristband. Pre-festival party for the Sun Valley Jazz & Music Festival in the Limelight room at the Sun Valley Inn. Door prizes and party favors. Dinner will be available for additional purchase. 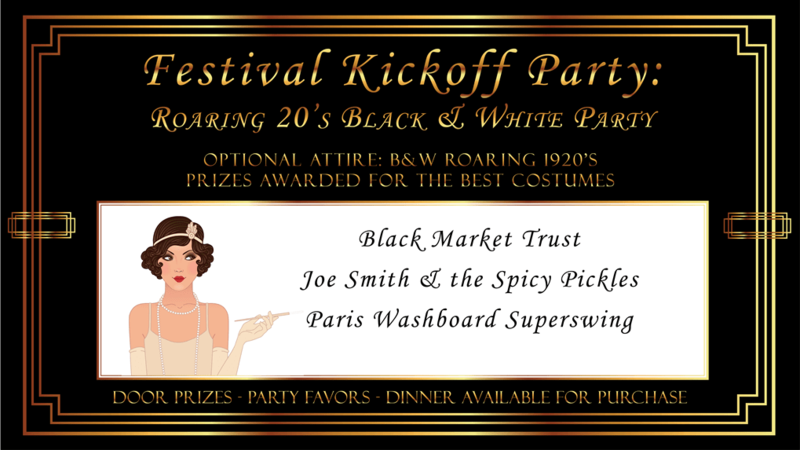 Roaring Twenties theme. Wear black & white. Adorn with feathers and sequins. Prizes will be awarded for the best costumes. 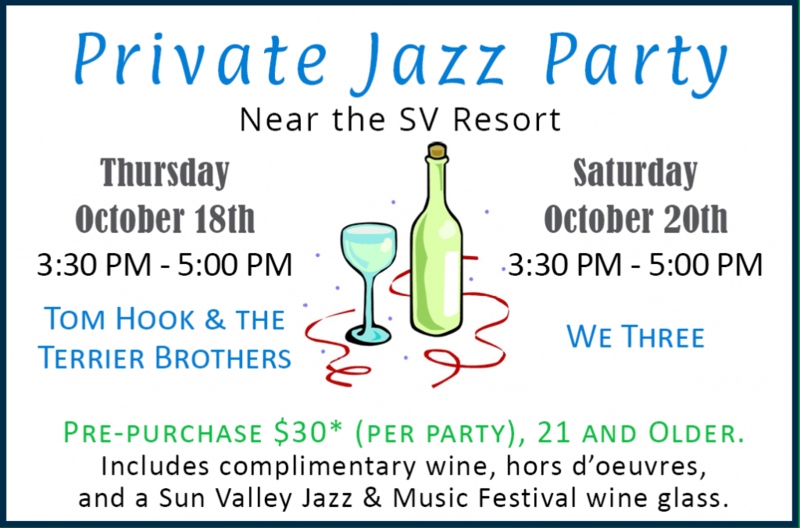 A Private Jazz Party will be held at a private residence near the Sun Valley Resort. Includes complimentary wine, Hors d’oeurves and a Sun Valley Jazz & Music Festival wine glass. Public Event. Be sure to bring a friend! No ticket needed. 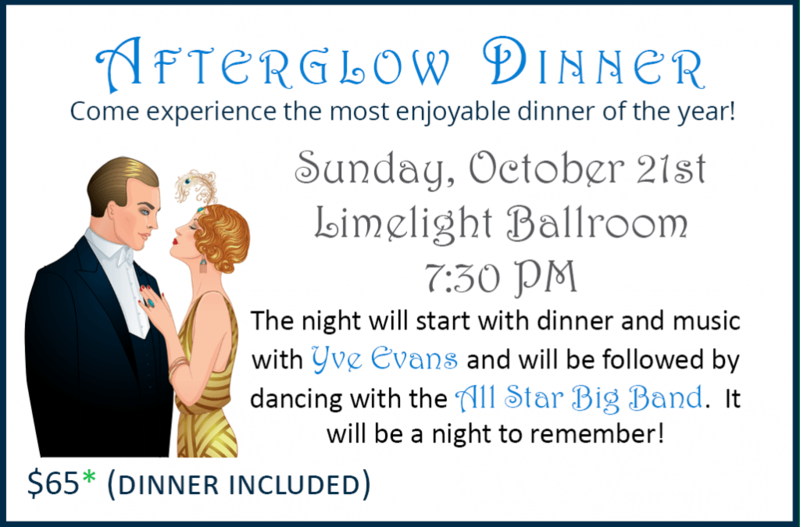 There are a limited number of tables available. For groups wanting to sit together, please order at the same time. Be sure to indicate in the “Special Order Instructions” section of the ticket order, with whom you would like to sit. All tables seat 8 people. You will be required to show your current school-issued ID when you pick up your pass. Add to Cart – High School General Admission Pass $20* (Ages 13 – 18 years) Advance purchase / $27* At the Event. Children under 13 years, FREE when accompanied by adult pass holder. Please include your RV make and license plate number in the Special Order Instructions box during checkout. No power or hookups are available. Dry camping only. Showers are available. See more info on RV registration. 1 Color Souvenir Program is included with each General Admission 5 Day Pass purchase. Additional programs may be purchased at the event. Sales & Will Call Location: Festival passes are available for pick up or purchase. Located in the Sun Valley Inn Lobby. Sales & Will Call starting Tuesday, October 16th from 12:00 pom – 4:00 pm (see your ticket voucher for all available hours). Bands, Venues and Other Details are subject to change without notice. To see the most current information, including a preliminary schedule by the beginning of October, check back to this website. All Sales Are Final. Like any other performance venue, we incur expenses whether you utilize your purchased tickets or not. Given the organization’s non-profit status, we hope you understand the need for this policy. This policy overrides all previous refund policies of the Sun Valley Jazz Jamboree and may be updated at any time. Updated 12/28/17.